Manage the entire software lifecycle of a streaming application easily and efficiently. With the explosion of the Internet of Things, businesses need to reevaluate their existing data strategies and adopt a more modern data architecture. Doing this by developing data-driven applications that take advantage of data-in-motion can be a daunting journey to undertake. Scalability, reusability, and achieving operational agility are just some of the common pitfalls associated with existing software architectures. Now, with the Hortonworks Streaming Analytics Manager, part of Hortonworks DataFlow, your DevOp team can manage the entire software lifecycle of a streaming application. They’ll be able to accelerate software builds and delivery, improve time to deployment, automate environment provisioning, and have greater performance monitoring. 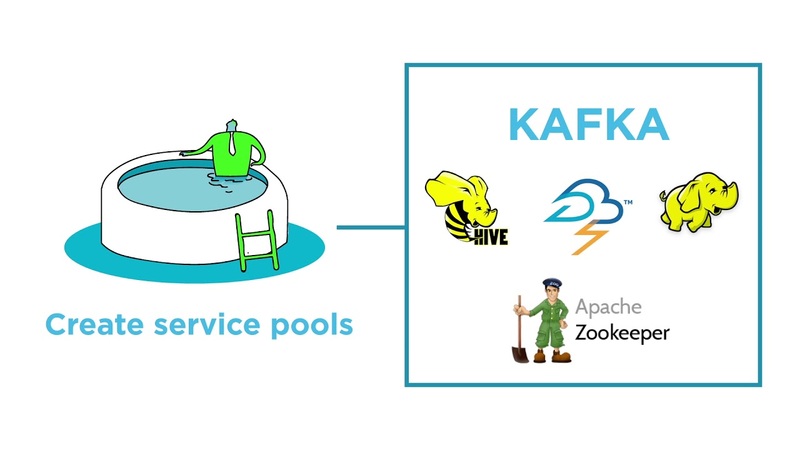 First, your DevOps team utilizes the Stream Analytics Manager, or SAM, to create service pools that include Kafka and Storm services, as well as environments that pull services from various sources, for App Developers to use to create streaming applications. Second, after a streaming application is created, SAM provides a quick and easy way for your operations team to deploy and monitor all running streaming applications. Finally, SAM provides an environment in which your Operations team can track the entire streaming application lifecycle management from creation and modification to monitoring and sunset of the application. Hortonworks Streaming Analytics Manager truly automates greater agility and operational efficiency. Go to hortonworks.com/sam for more information.